Collins Booksellers - Changing Curriculum through Stories by Marc Levitt, 9781475835922. Buy this book online. 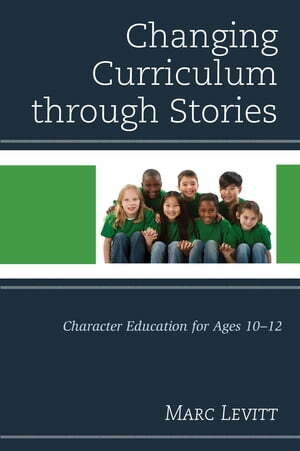 Changing Curriculum Through Stories: Character Education for Ages 10-12 is a book about transforming school culture from one that supports a culture of competition to one where an understanding of how we are 'All In it Together’ permeates what is studied and how. Whether the issue is ‘going along to get along’, ‘shunning an outsider’, 'bullying', ‘learning to share', 'anger management' or 'forgiveness', Changing Curriculum Through Stories: Character Education for Ages 10-12 makes clear how an individual's behavioral choices, seemingly without consequences, ultimately effect everyone, including themselves. Using original and folkloric stories as jumping off points for discussions, Marc Levitt’s new book provides a holistic antidote to 'shallow selfishness', substituting instead, a curriculum and a pedagogy that provides the intellectual and visceral tools to help students understand and to act based on an awareness of their connections to one another, the value of community and the joy of living amidst diversity of all kinds.